Sold for $1,300,000 Just Sold! Beautiful light-filled Outer Sunset Home. Spacious living room with fireplace and beautiful refinished hardwood floors, formal dining room, large eat-in kitchen with side patio, remodeled bathroom with custom tile off hallway, two bedrooms with walk-in closets in rear looking out to the deep backyard. Garden-level room and bath also large laundry room and garage with plenty of storage. Freshly painted inside and out. 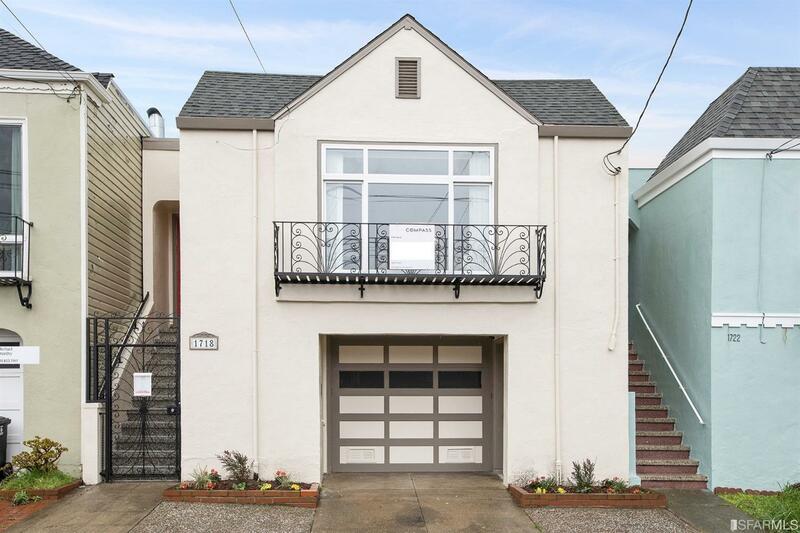 Nice Outer Sunset location, close to Noriega shops, restaurants, transportation and not far from Ocean Beach jogging and bike trails.